With a market share among all searches approaching 74%, Google is pretty much the only game in town when it comes to search engines. In the home care space, it is even more important that you pay attention because a significant percentage of your “local” leads come from NON-local people. Those are the adult children looking for help where their parents live, and they do not. 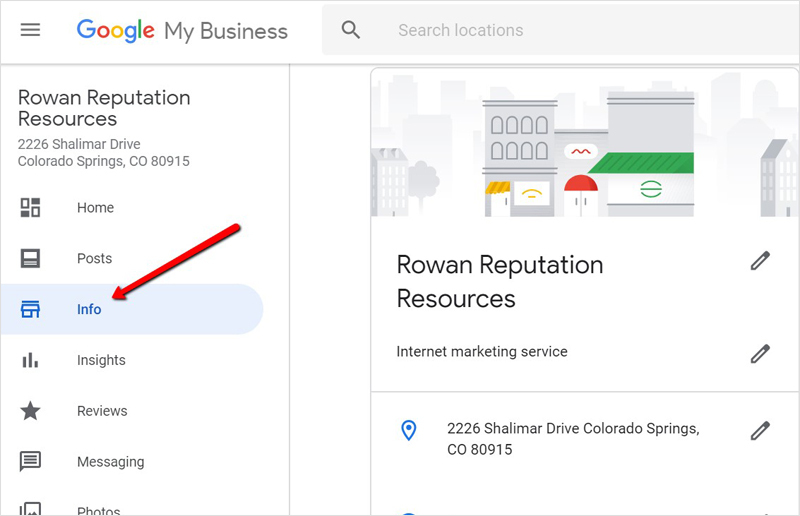 Back in 2016 Google separated the Google My Business listing from the, soon to be defunct, Google+ profile. Before that separation, you could include links, bullets and other features in you GMB listing. No more. 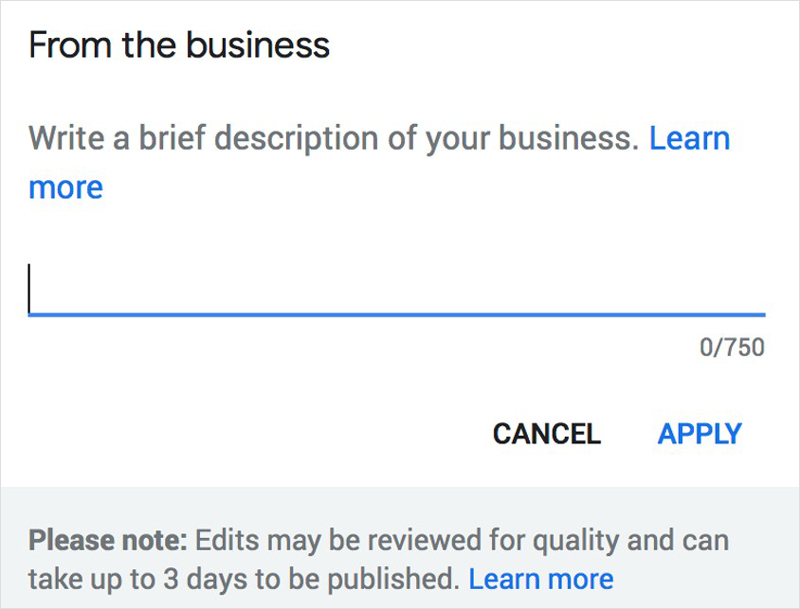 The business descriptions stayed with the Google+ page, but were no longer available in the GMB listing. Now, the business description is back in the GMB listing. Now you can describe your services within your Google listing – but, very few home care agencies have. This represents another FREE advertising opportunity we write about all the time. 1. You must be brief. You are only allowed 750 characters (not words). It is just a description and you may brag but not pitch. 2. No links. Talk about your services so that readers will be motivated to click elsewhere within Google, but not with links embedded in the text. Google will reject it if you include links. 3. Google must approve. It takes three days for Google to clear your copy. 4. No selling. You may not make special offers in the copy. This is copy that is sort of permanent anyway so temporary offers would not be appropriate. Step 1: Open your Google My Business Listing. NOTE: If you do not have a GMB listing, please skip down to the section below titled “NEED HELP?”. It will save you time and trouble. Step 3: Enter your 750-character business description in the space provided. Step 4: Wait for approval. If it does not show up, go back and check that you have followed all of the guidelines and make adjustments, if necessary. 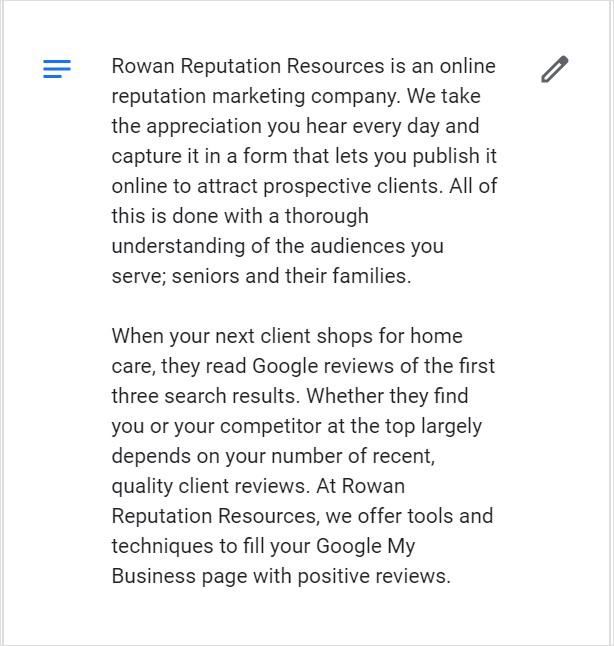 If you need help locating, claiming or optimizing your Google My Business listing, we have a team that can help you. You may have gotten calls from various companies who offer to help you “get on Google”. These are often dangerous scoundrels that charge up to $900 to do very little for what they ask to get paid. We will get your GMB listing up and optimized for a total price of $49. Complete. You will provide the information and the images and videos, but we will put it all together for you. To take advantage of this simply click on this link http://bit.ly/rowan-contact and type GMB HELP in the box at the bottom. Focus on Google to keep the focus on you.